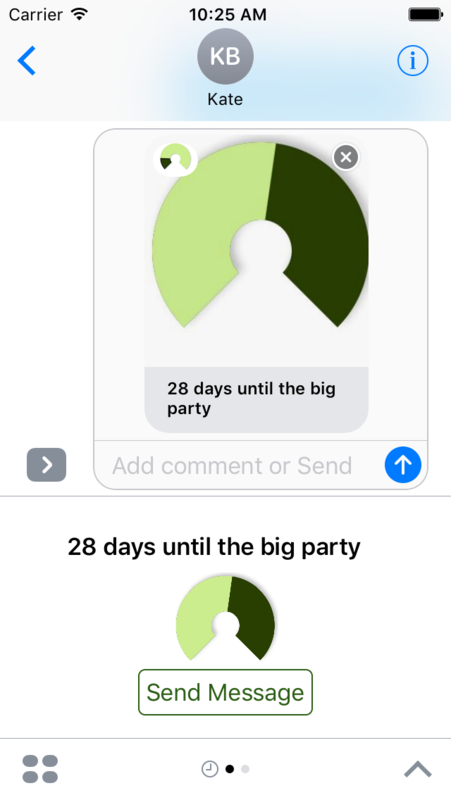 Now that iOS10 is out I thought it was about time I built an iMessage app for Count The Days Left. To be honest, it took very little time once I’d written a script to generate all the “progress images” I needed i.e. 100 images that show the percentage completed in the progress bar. The UI is just a standard Storyboard + UIViewController for layout, and then hooking up an event handler to a ‘Send Message’ button (see below for details). I’m not sure how useful this will be, but it was very easy to build and I’m pleased with the result.